Organizing expert Marie Kondo came up with a system for tidying up your life called the KonMari method that says you should periodically gather together all of your stuff and then throw away everything that doesn’t bring you joy. Perhaps that’s what ABC is doing today. It has already made multiple trips down to the dumpster, tossing in garbage bags full of Nashville, Castle, and Agent Carter, and now there’s a new one on the pile that’s full of googly eyes and tiny hands made of felt. In other words, ABC has also canceled The Muppets after one season. This comes from Deadline, which says that The Muppets was never really able to hook viewers with its workplace comedy-inspired setup—at least as far as ratings go. 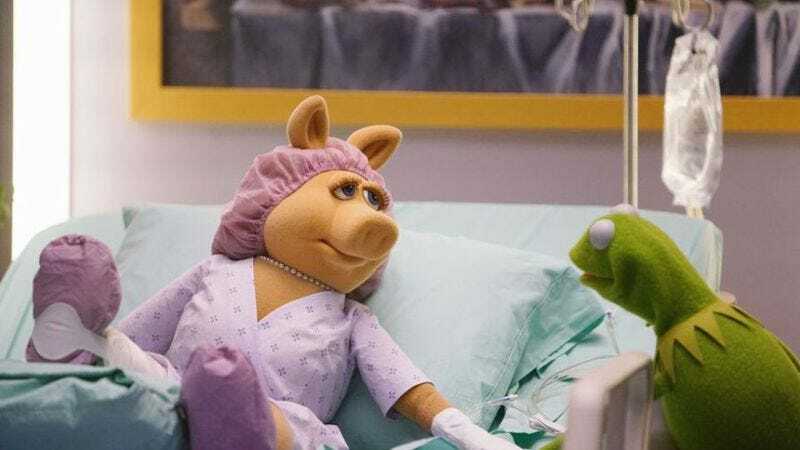 Apparently, the show almost got renewed for a second season based solely on “the strength of the Muppets brand at Disney,” but maybe kids just weren’t buying enough little frogs and pigs for the network to justify that. Either way, the show won’t be coming back.